Veendeep specializes in the highly competitive worldwide sourcing of quality workshop services. Every effort is made to maximize local supply content to enable optimum cost savings. Using these flexible fabrication and procurement policies, supported by a thorough inspection procedure at each key stage of manufacture, enables Veendeep to meet even the most demanding client requirements. Our Sourcing and Procurement practice is guided by a single success mantra– to help clients lower their third-party spend and optimize procurement operations by ‘doing more with less’. We achieve this by delivering transformative solutions. Engages in design, set-up and conduct of reverse auction events for clients. This process would include Supplier Discovery, Supplier Validation, Supplier Training and Enablement. Our organization is well known in providing Procurement Assistance Service to the clients. This Procurement Assistance Service is provided by our qualified and adroit team of professionals who provide remarkable solutions to the problems of our clients. This service is carried out by experienced professionals. 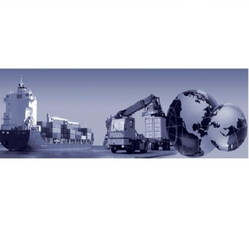 Backed by diligent professionals, we have been competent to provide Procurement Work. In addition, our provided service is rendered in different terms and conditions that meet on client’s demand. Due to hassle free completion, consistency and nominal costs, our service is enormously employed in the market. The dedicated and experienced team of Jayanthi Textile Products takes scrupulous care in the selection of cotton, starting from initial purchase of cotton. During the selection process, more importance is given to its length, strength and mic, so that the final product obtained is of the utmost quality. - Centrally manage the procurement of goods through an integrated procurement function to deliver maximum benefits to our clients. - Improve the management of common but complex procurements by providing flexible specialist resource. Our role is to be the outsourced procurement office for our clients in India. Through these three main phases, our customers can be closer to their supplier’s, having the right control over their operations. Assistance with the procurement of Local Driving licenses in case the foreigner wants to drive a car or a bike in the host country.